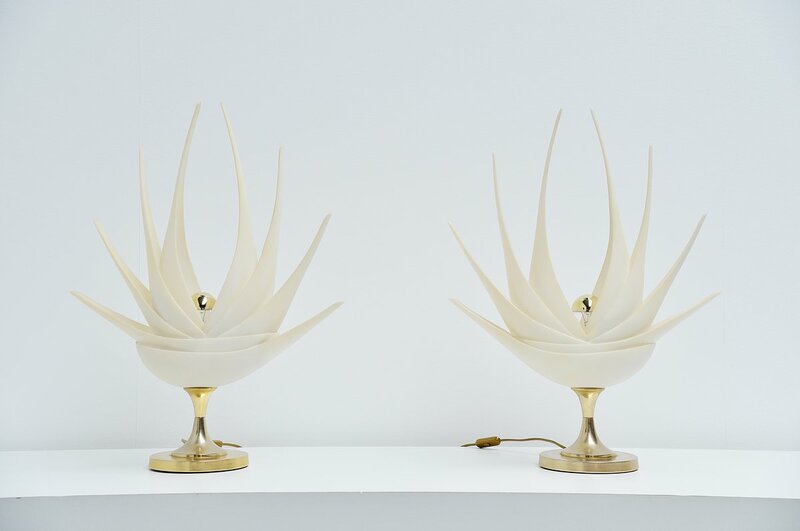 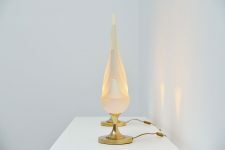 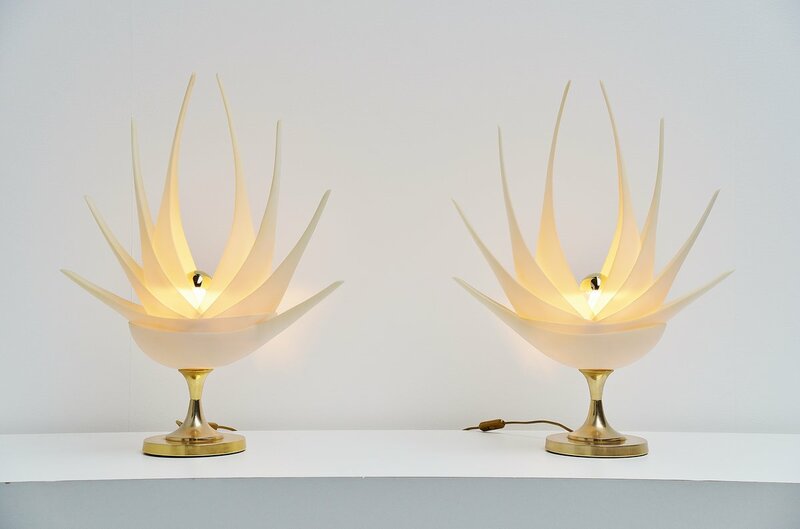 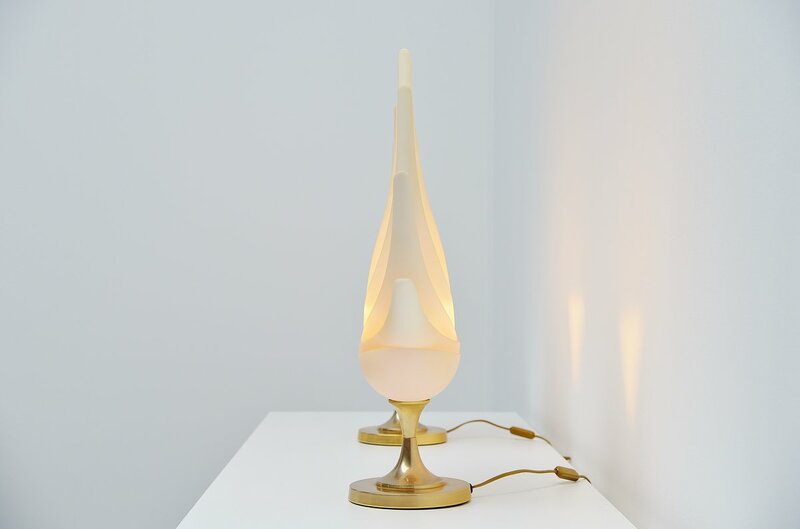 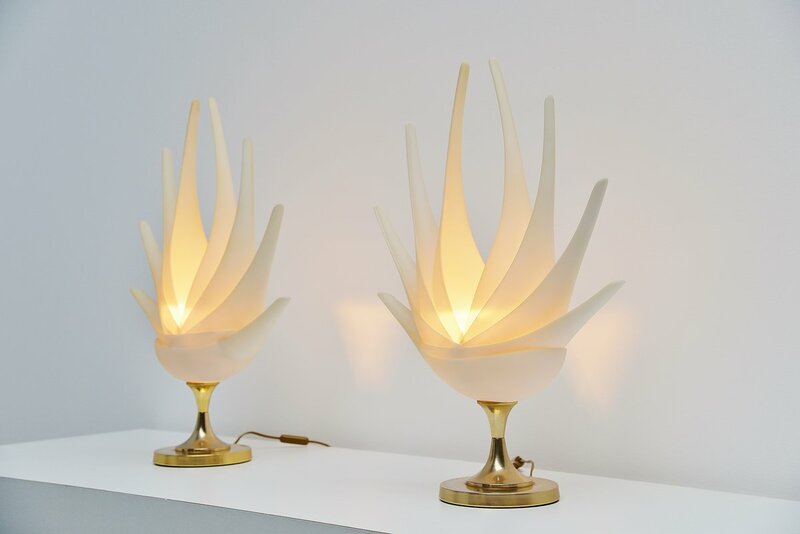 Very nice pair of table lamps designed and made by Maison Rougier, France 1970. 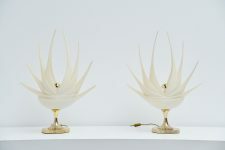 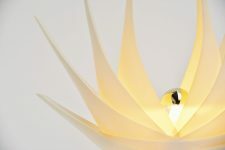 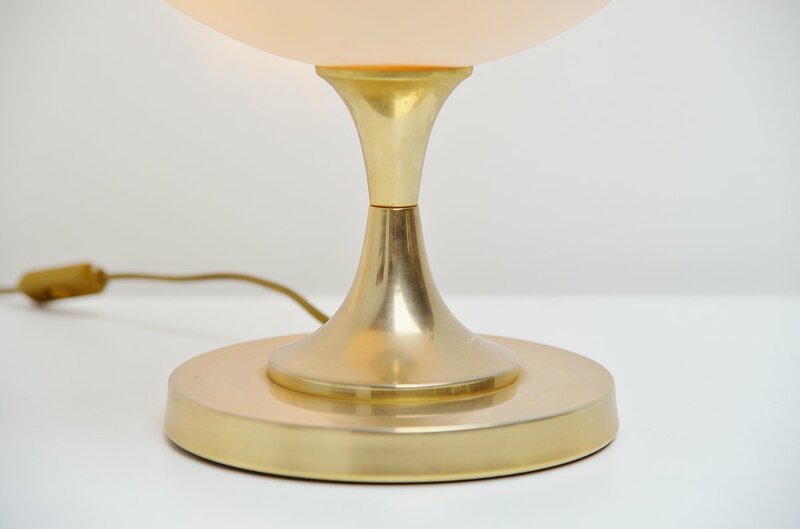 This very nice set of 2 flower shaped table lamps have resin shades and gold plated aluminum bases. 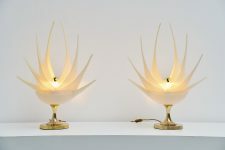 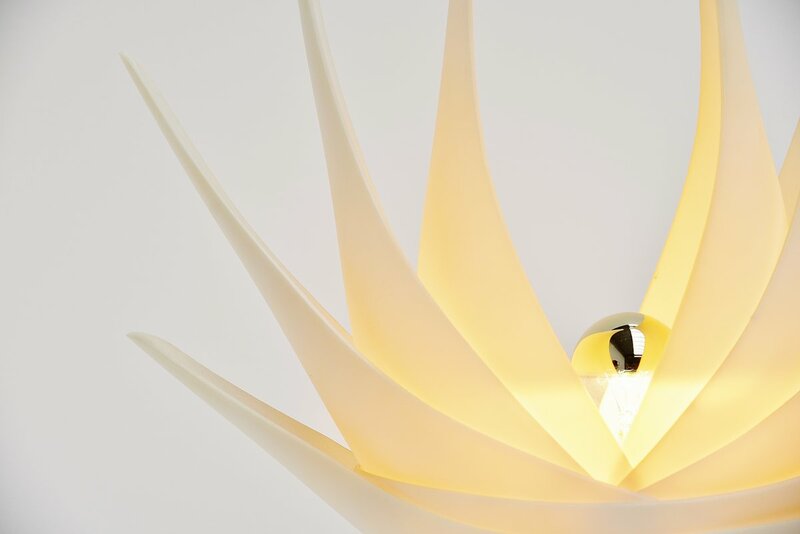 These lamps give very nice light when lit and look highly decorative.